As I was skimming through the couture shows, Viktor & Rolf blew me away with their haute couture collection two weeks ago. The workmanship and creativity was abundant. The designers wanted to actually depict wearable art with their painting like ensembles. These garments were very fluid and had a great deal of movement compared to how the photos exemplify them. During the show a few of the pieces were taken off the models and hung on the wall as a backdrop for the finale. 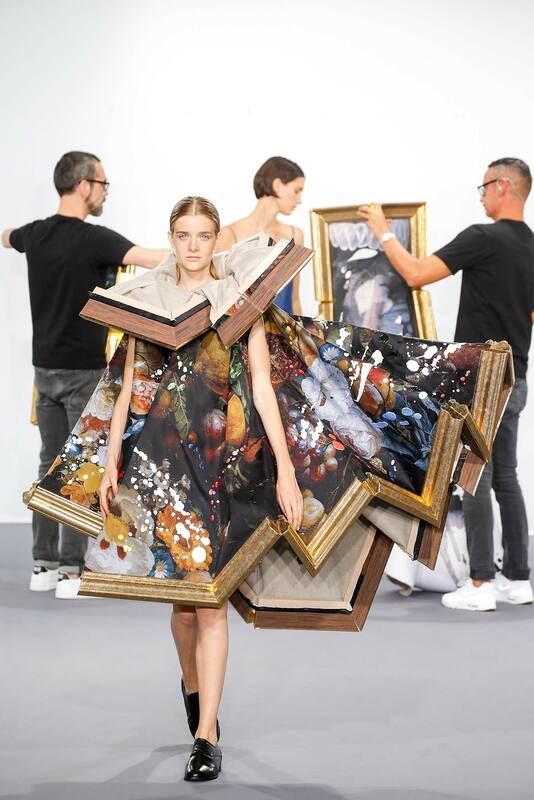 This was ironically done to debate the question of whether fashion is art. Click here to see a video of the show in action. Viktor & Rolf had recently announced this winter that they would only be focusing on their haute couture collection this year. Putting all of their effort into this appealing and intriguing collection definitely paid off. Check out the pictures below of a few of my favorite looks.